What would you do if you were a leprechaun? Where would you hide your gold? Would you give it away to a good cause? Students can think about the answers to these and more questions, then write their ideas down and draw an illustration. 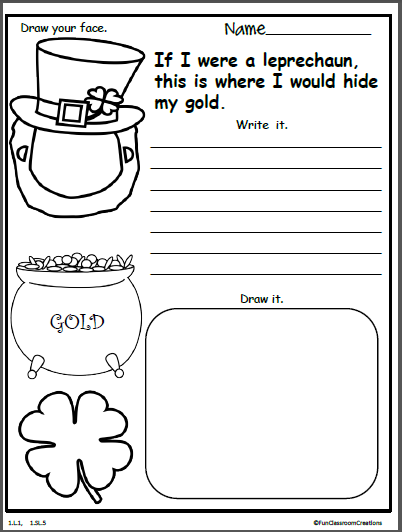 Terrific St. Patrick’s Day activity to get your young ones to start thinking about how to help others, or alternatively they can practice thinking up a silly story for hiding things.